Bicycle theft is a growing problem as cycling gains momentum in Singapore. One of the primary causes of theft is ineffective lazy locking. 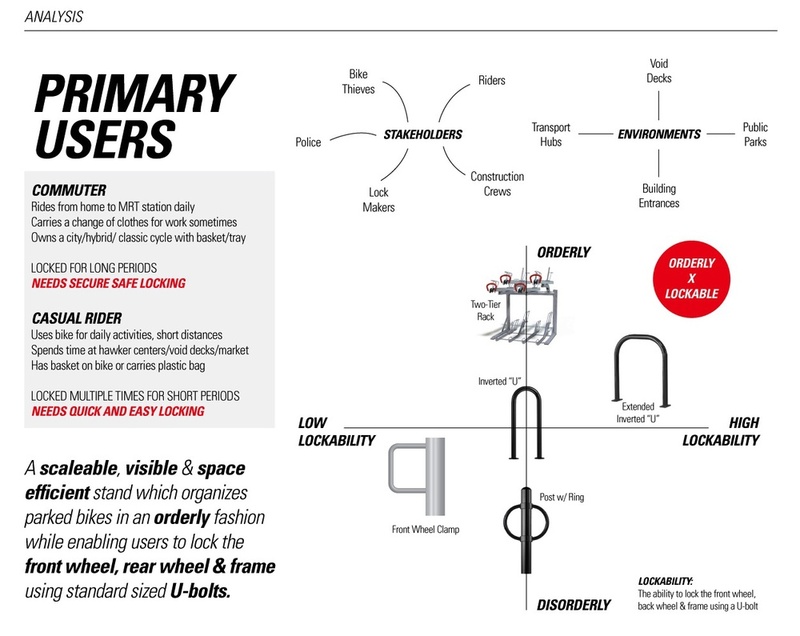 By easing the prompting users to lock specific locations of their frame, DOCK-IT aims to encourage effective locking habits for new cyclists. 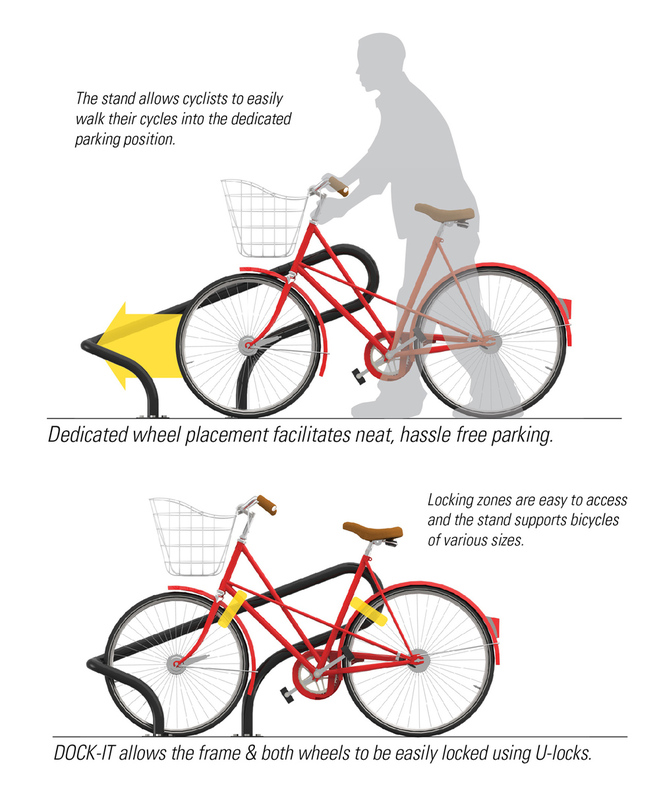 In the docked position, It enables cyclists to lock the front wheel, rear wheel & frame using standard sized U-bolts. With a single intuitive docking orientation, users are not required to think too hard about the ideal position for locking. 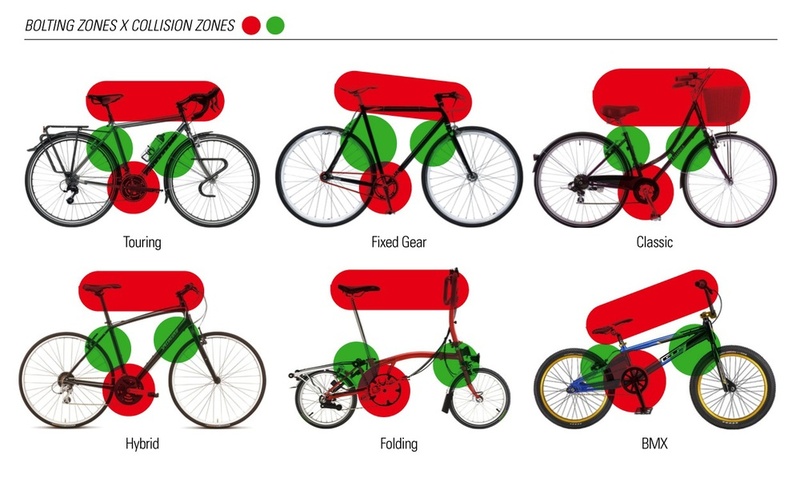 Bicycle security is ultimately the responsibility of the owner and hence this problem was approached in a low cost, evolutionary manner. Cost is only marginally increased with one extra bend of a slightly longer pipe as installation & placement by public services have not been altered.